Depending on which type of vehicle you want to drive and the type of driving you want to do, you may need to apply for a special license class in addition to your regular Class D driver's license with the Arizona Department of Transportation (DOT) Motor Vehicle Division (MVD). Certain types of license classes/endorsements allow you to operate heavy vehicles, transport hazardous materials, or carry a large number of passengers. 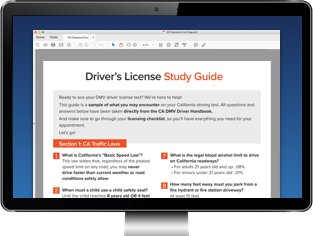 If you are applying for a new class of driver's license or are adding a license endorsement, you'll likely need to pass additional tests, pay a new fee, and submit specific documents to the Arizona MVD. On this page you'll find information about some of the classes of licenses and endorsements you can apply for. Applying for a New License in Arizona (Drivers 18+). Applying for a New License in Arizona (Teen Drivers). To drive certain types of vehicles in Arizona, you need to obtain a commercial driver's license (CDL). Has a truck and trailer with a combined weight of over 26,001 lbs (Class A CDL). Has a gross vehicle weight rating (GVWR) of over 26,001 lbs (Class B CDL). Has a GVWR of 26,000 lbs or less, if it is designed to transport at least 16 passengers, including the driver (Class C CDL). Submit a Medical Examiner Certificate or DOT medical card. Provide proof of your legal U.S. presence, age, identity, Social Security number, and residency. Those needing to obtain a CDL should refer to our Applying for a New CDL page for more information. To drive a passenger bus, you'll need to get a passenger endorsement on your commercial driver's license. To drive a school bus, you'll need both a passenger endorsement and a school bus endorsement on your CDL. To qualify for either endorsement, you must take the CDL driving skills test in a passenger bus or school bus. If you already hold a CDL, you can obtain a learner's permit with a passenger/school bus endorsement. You will likely need to pass additional written tests to get the permit. After you've practiced driving, you can take your skills test in the type of passenger bus/school bus you wish to drive. Arizona MVD testing and driver's licensing fees will apply. NOTE: The type/weight of vehicle you take the test in will determine the maximum weight vehicle you'll be licensed to drive. To legally drive a four-wheeled all-terrain vehicle (ATV) in the state, you simply need to have the regular, non-commercial Class D driver's license. If you want to drive a three-wheeled ATV/motorcycle, you must have a Class M or motorcycle license. For more information, please visit our Motorcycle License in Arizona page.